Our school's most important assets are our teachers: highly-qualified, loving individuals who treat each child as their own. Our faculty cultivates enriching relationships with students in order to know them well and appreciate them individually, keeping the student-teacher relationship at the core of the SJES experience. Sixty eight percent of SJES teachers have over 10 years teaching experience. Each year, 100% of our faculty pursue opportunities outside of SJES to strengthen their skills through participation in one or more professional development activities. 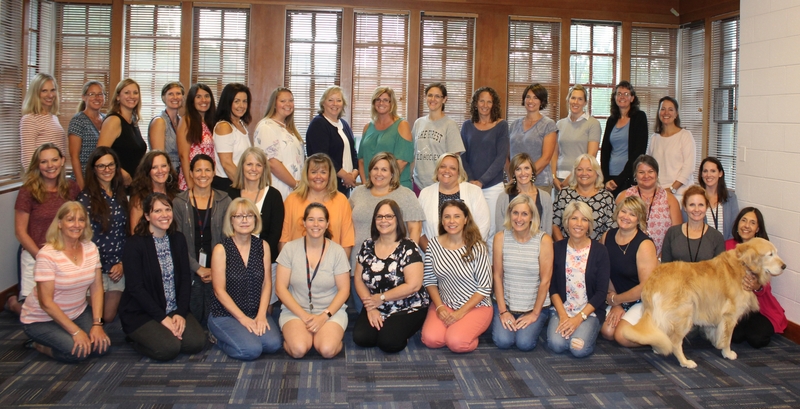 Last year, faculty attended workshops offered in conjunction with Fauquier County Public Schools on such topics as early literacy and language development and fine and gross motor skill development. As a team, our teachers also read many books together, such as "Building A Better Teacher " by Elizabeth Green and "Young Mathematicians at Work: Constructing Number Sense, Addition, and Subtraction" by Fosnot, Dolk, and Cameron. The teachers discuss and apply what they have learned to their classroom strategies, ultimately strengthening the impact they make at school.